Here, at Fork Truck Direct, we offer the full range of Combilift products. We hire Combilift forklifts all over the Essex and Suffolk area and, for those companies looking to purchase Combilift forklifts, we can help you out there, too. Combilift is an Irish manufacturer of multi-directional forklift trucks and other load-handling machinery. Established in the late nineties by a pair of experienced engineers with decades of practical experience, the company has gone on to be recognised as a major global leader in the industry, selling over 28,000 machines across more than 75 countries worldwide. uCombilift forklifts are the first multi-directional, all wheel drive forklift. Combining the technology of a side-loader with a forklift, they are highly efficient and manoeuvrable in even the tightest spaces, and manage to be both cost effective and incredibly safe for the operator. 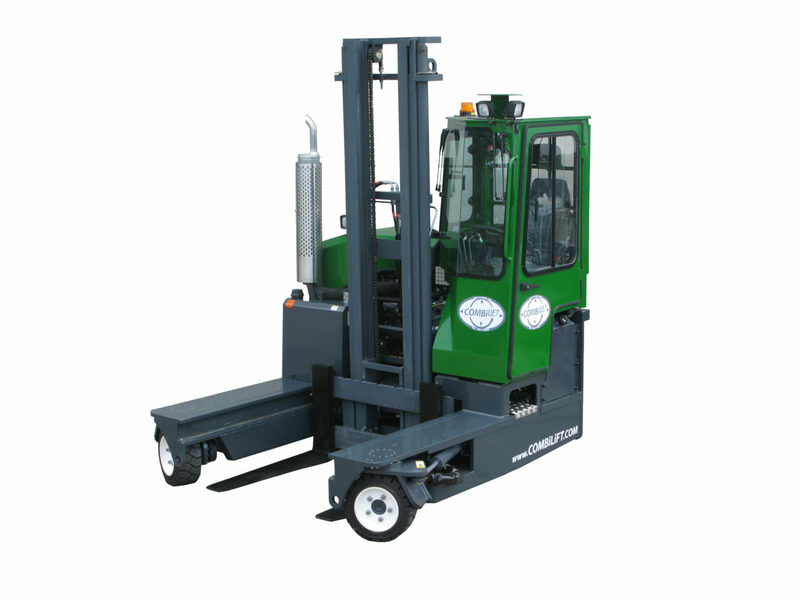 The Combilift forklift is designed for the safe handling of long-loads. It offers great stability; its integrated platform and low centre of gravity provide a sturdy base. 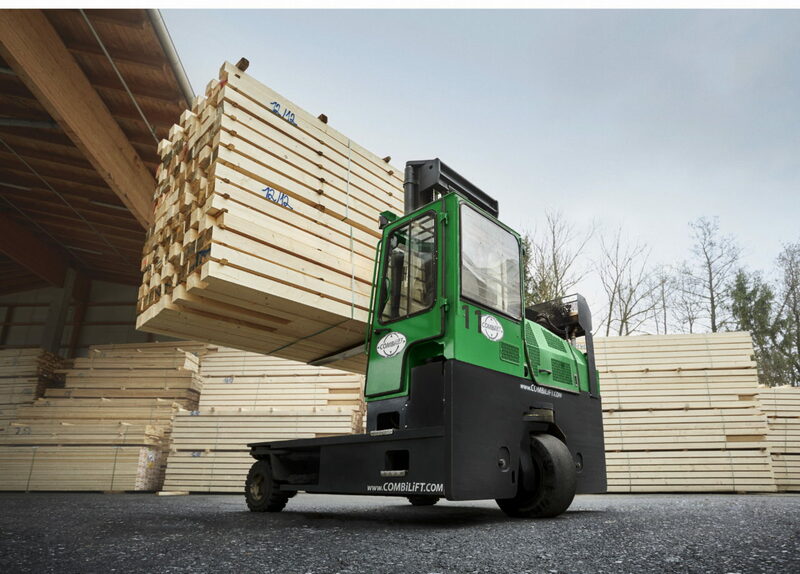 With their unique all wheel drive, multi-directional steering systems, Combilift forklifts are able to move sideways whilst handling long loads. Combilift forklifts are just as efficient outdoors as they are indoors. Whether using electric, gas, or diesel to fuel your Combilift, the requirement for having both an indoor and an outdoor forklift is entirely eliminated. When you buy or rent a Combilift forklift, it saves you time and space and reduces product damage, as well as allowing a smoother loading and offloading process in and about the warehouse. Double handling is effectively eliminated, and the improved speed of operation of a Combilift model leads to a massive spike in productivity. The range of Combilift vehicles are designed with the operator at heart, and include things like hi-vis cabs and suspension seats as standard. Spacious cabins, ergonomic operator controls, and full air-conditioning makes operating a Combilift a breeze. With multi-directional movement, sudden twists and turns in warehouse are a thing of the past. If you purchase a Combilift forklift, you drastically reduce the chance of products getting damaged during movement. There is nothing delicate about a Combilift. Despite being designed to world-class specifications, every vehicle in the range is built to last a lifetime of robust and rigorous services, so you can be sure you’re making a good investment when you buy a Combilift forklift. The savings made in storage space and the increase in efficiency gained by using a Combilift will lead to a reduction in the size of your forklift fleet, with an attendant impact on emissions, storage costs, handling costs, and cycle times of operation. Whether you’re looking to buy Combilift forklifts, or simply to hire a Combilift forklift, Fork Truck Direct can provide you with the machine you need. Call us today on 01245 322252 and one of our experts will help find a forklift solution that perfectly suits your company.